YOU Travel Ferrymead (previously United Travel) is 100% locally owned and operated and is proud to have been in the Ferrymead area for 22 years. You Travel is owned by Melissa Landrebe who has worked hands-on in the business for 22 years, being Sumner born and bred she knows the significance of keeping things local and being involved in supporting local businesses, schools and fundraising events. There is a strong community focus and the office is recognised as the top travel organisation in the area. We understand the importance and value of first-hand knowledge always encouraging and ensuring staff personally experience new exciting destinations and cultures around the world, being able to share their ideas, experiences and recommendations with their customers is invaluable. 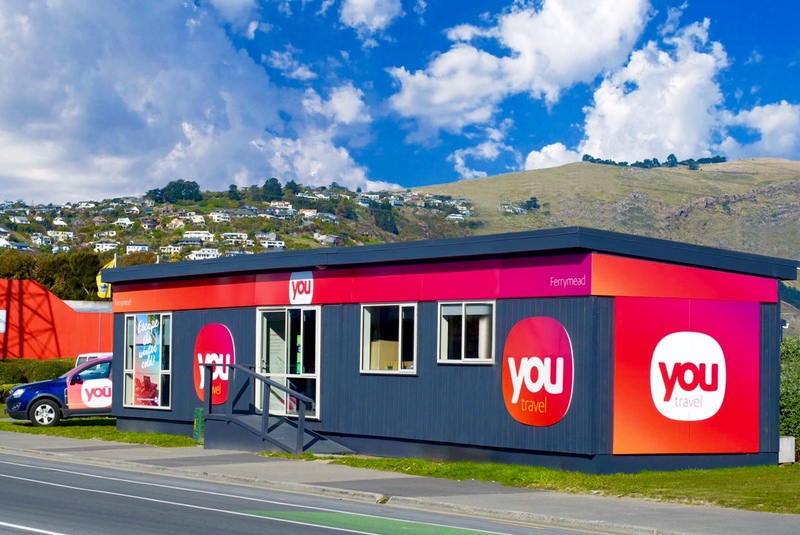 In 2012 the team were provided with the challenging news that their quake damaged building was to be demolished within 8 weeks thus bringing to fruition Christchurch's first portable travel agency. It may look small on the outside but within the 4 walls you will find a team of passionate, knowledgeable Travel Professionals who love nothing more than to share their travel experiences. We have one main philosophy and it is simply 'to exceed your expectations'. We are a strong team and our committed and loyal staff results in the amazing relationships that we build every day. We pride ourselves on adding all the special touches and we promise to create not just amazing holidays but life experiences and memories that will remain with you forever.